Portrait of a Himba lady with traditional hair art and jewelry. The Himba’s in front of the wallpaper backdrop were photographed in their rural village of Namibia. Later they were put in front of the backdrop of ancient wallpaper via modern digital darkroom. What inspired me for this process were the wallpapers that I came across on the same trip when stopping by at the so-called Ghost Town near Luderitz. 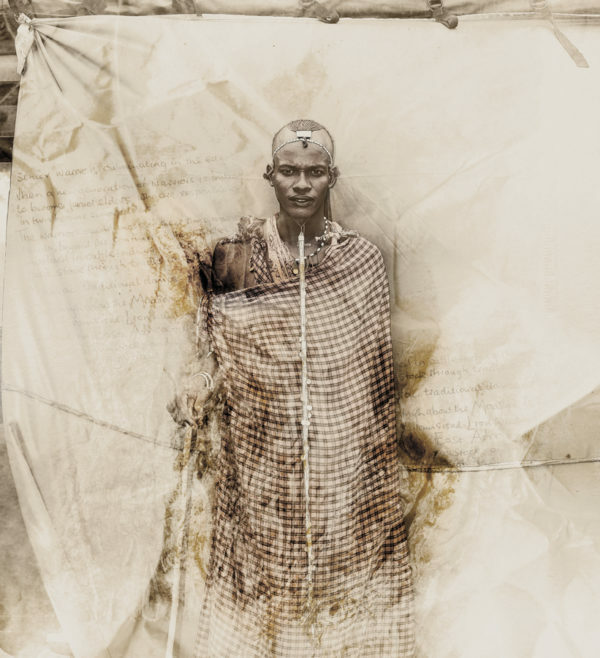 In one of the abandoned houses I saw wallpapers still up on the walls and this inspired me to connect the first start of white human settlement with the heritage people of the country only living a few hundred kilometers away. 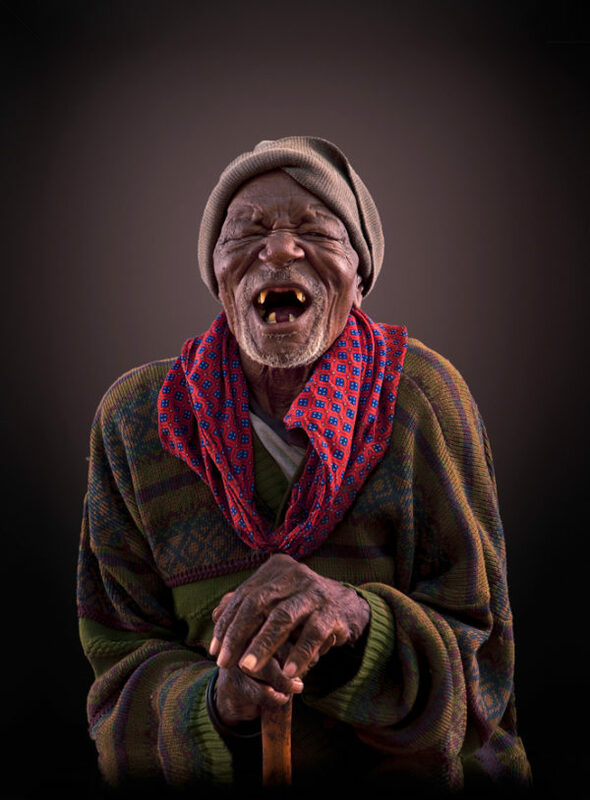 I have travelled to many rural places in Namibia, Botswana and Kenya to capture the spirit of people who still live a very primordial life – visited the Himba, Bushmen and Massai. And I truly felt inspired when I could connect with them through the eyes of my camera. This is what the collection of my Tribal portraits is about. 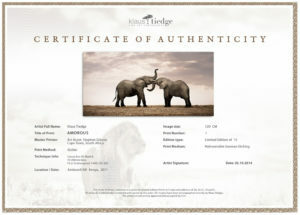 This image of the Pride of Africa Collection (African Wildlife) is available to purchase as a limited edition print in 5 different sizes. 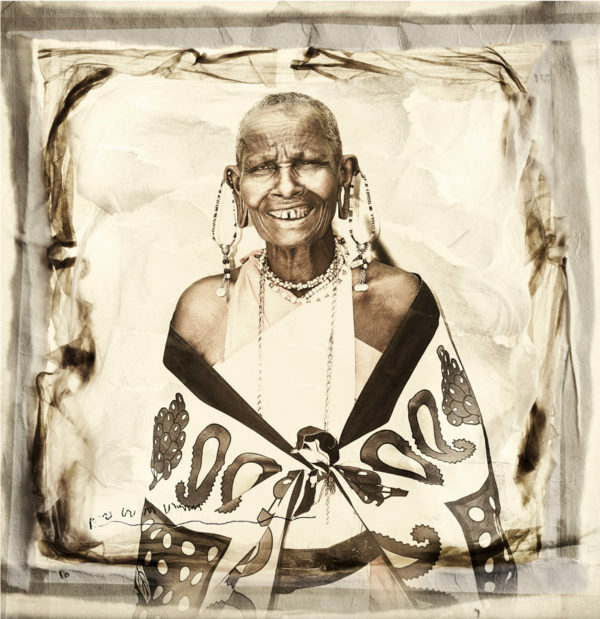 The edition size of the Pride of Africa Collection photographs is 101 prints per image plus Artist Proofs of which each size has a certain amount of prints allocated to it. 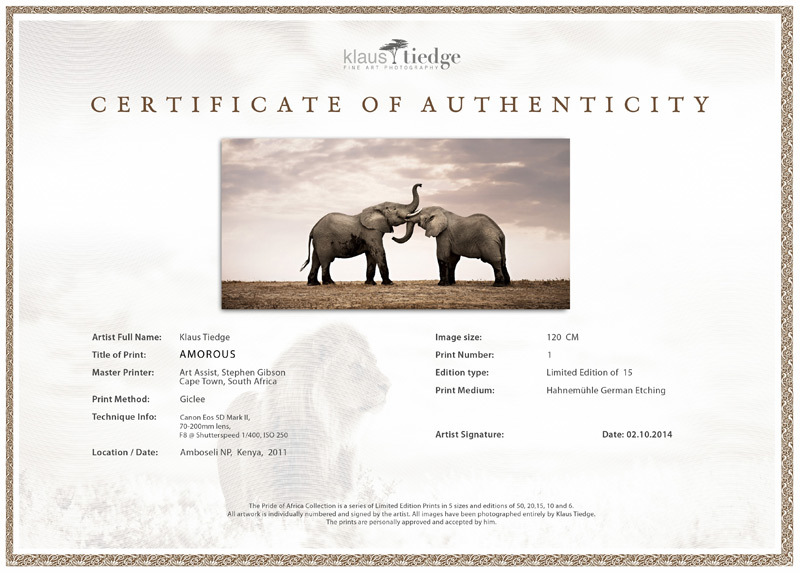 All artworks are personally approved, individually numbered and signed by the artist, Klaus Tiedge. As our standard we are using Giclee printing method on high quality archival fine art paper e.g. Epson Cold / Hot Press paper. If you are interested in other options like print on Canvas, Photo Paper or as a Diasec please contact us for a quote.